Bubs for Brunch! 10 to 2 every weekend! Bub’s at the Ballpark! 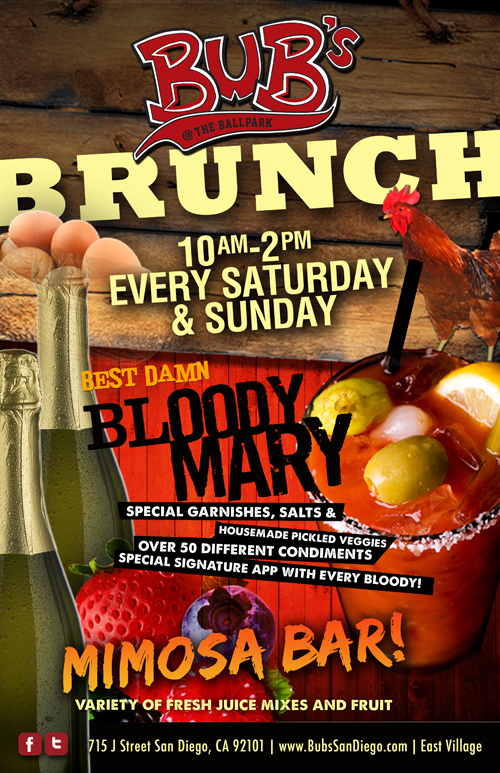 Weekend brunch has never been better!